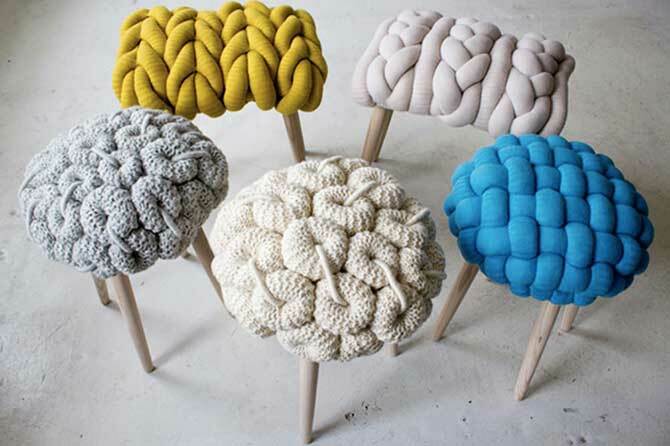 Originally from County Cork, Ireland, Claire-Anne O’Brien graduated from London’s Central Saint Martins in textile design. 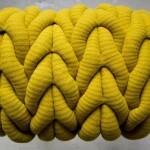 She then went on to complete a master’s program in constructed textiles at the renowned Royal College of Art, graduating in 2010. 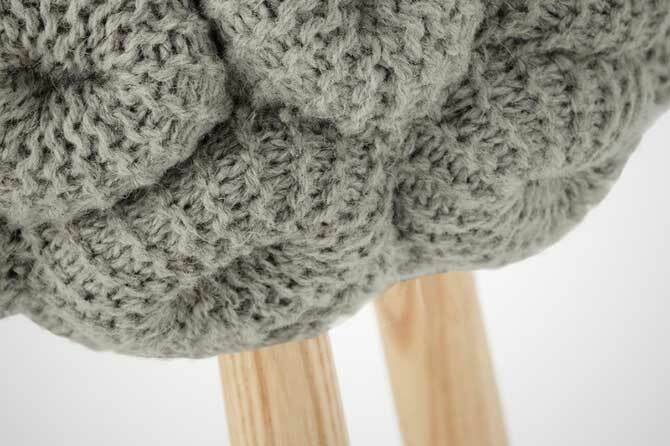 Nowadays she splits her time between being a lecturer at Bath Spa University and producing intricate wooly items for her own design studio. 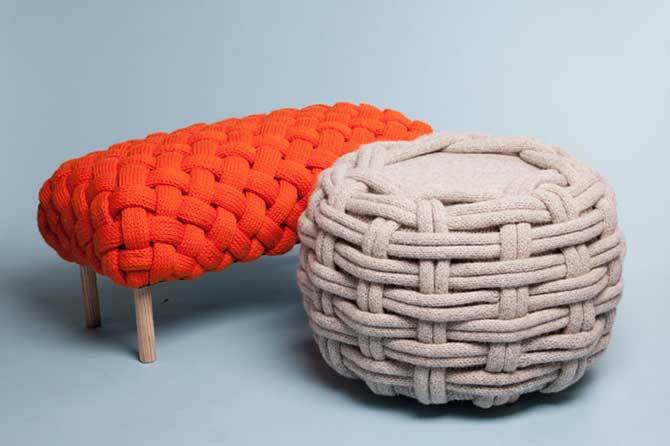 In addition to having her own range of furniture and objects, Claire-Anne is constantly creating bespoke commissions and fabrics for department stores as well as private clients. 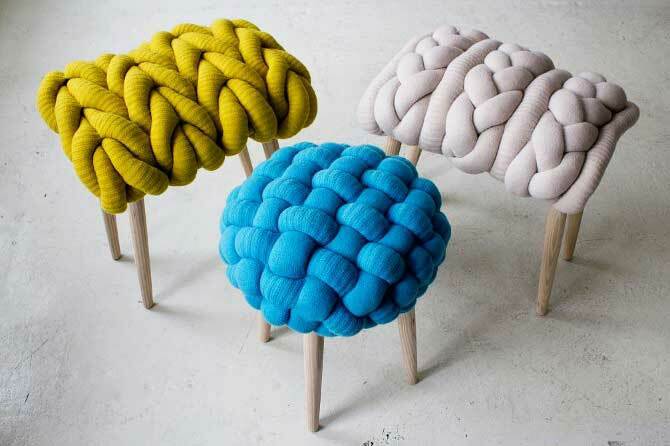 There’s something fascinatingly organic about these stools with their chunky interweaving tubes wrapped in the softest of lambswool. 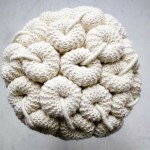 By bringing traditional techniques from the past to the present, she manages to turn every granny’s favorite pastime into her own modern art. 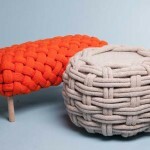 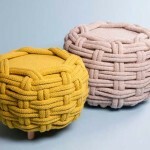 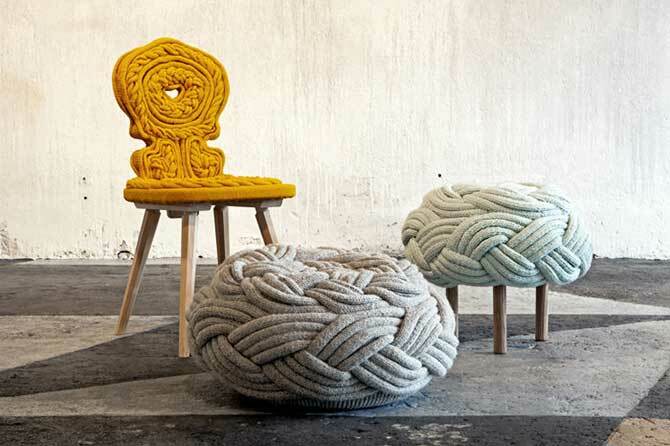 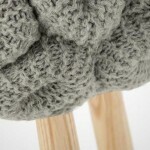 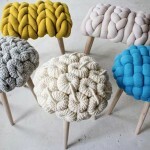 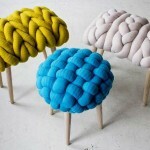 The design’s knitted upholstery is made from polyester filling and upholstery foam wrapped in a soft woolen skin. 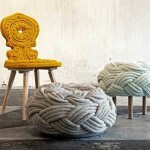 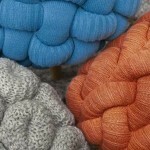 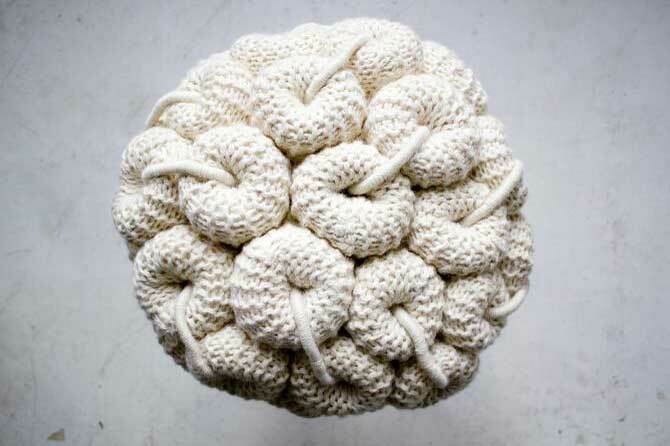 After making the chunky tubes, she knits them together to take the craft to a whole new level. 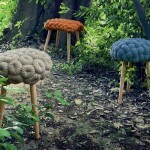 We first spotted Claire-Anne O’Brien’s stools during May’s Wanted Design, and we’re happy to see how much her tactile range has grown since then. 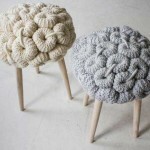 See other wooly creations by Claire-Anne O’Brien here.